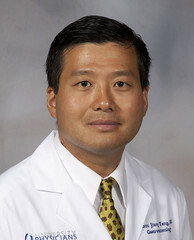 Post written by Shou-jiang Tang, MD, from the Division of Digestive Diseases, Department of Medicine, University of Mississippi Medical Center, Jackson, Mississippi, USA. We reported a case of a symptomatic giant sigmoid colon lipoma (7 cm × 6 cm) that was successfully removed with endoclip assisted dissection. Considering its size, thick stalk, and the possibility of pseudo-pedicle in the stalk, we decided to proceed with endoclip-assisted step-wise pedicle dissection to remove the lipoma. We chose clips with a 16-mm opening arm span for maximal stalk ligation. The patient was discharged to home after the procedure. She did not report bleeding, fever, or pain during follow-up except mild left lower-quadrant discomfort that lasted about 10 hours. All of her obstructive gastrointestinal symptoms resolved the next day after endoscopic resection. The authors propose that endoclip-assisted step-wise stalk dissection is a viable and safe option in patients with symptomatic large (2-4 cm) and giant (> 4 cm) colon lipomas. Endoclip ligation aims to prevent intra- and post-procedural bleeding, minimizes the risk of perforation due to dissection, especially with the possibility of underlying pseudo-pedicle. Not infrequently, endoscopists encounter colon lipomas during colonoscopy. These lipomas are usually small (< 2 cm) and appear as yellowish soft submucosal nodules. Colon lipomas are 90% submucosal, but in up to 10% of cases muscularis propria or subserosal layers are involved. As lipomas grow in size, with intestinal peristalsis, they can become pedunculated or form a pedicle or stalk. The vast majority of lipomas are incidental findings, and they do not cause any symptoms. Endoscopic removal is not indicated or necessary. Large (2-4 cm) colon lipomas can potentially cause obstructive symptoms such as pain, bloating, constipation, post-obstructive diarrhea, intussusception, or bleeding. According to a recent review, giant lipomas (> 4 cm) are usually symptomatic. For large and giant pedunculated lipomas, the normal muscular propria layer of the colon surrounding the pedicle can be evaginated into the stalk, forming a pseudo-pedicle. Endoscopic resection of these large and giant lipomas carries a perforation risk as high as 8%.